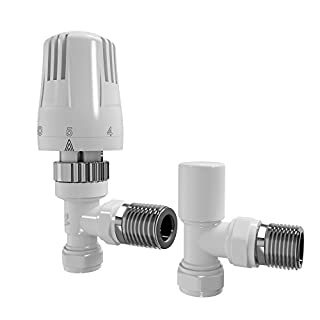 Our thermostatic radiator valves are energy saving and environmentally friendly. 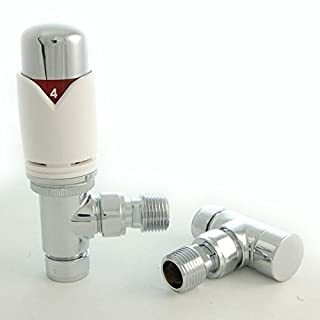 Thermostatic radiator valves (TRVs) make it possible to control the temperature in your room quickly and easily. Simply set the temperature that you desire and radiator will automatically reach the required heat output. 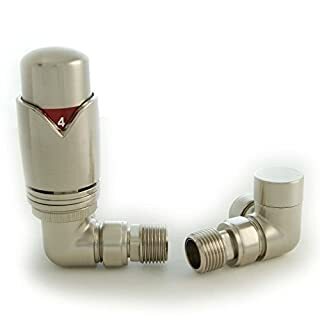 The heat sensitive mechanism will detect any changes to the atmosphere and adjust the amount of hot water that it allows into the radiator, keeping your home at a comfortable and constant temperature. 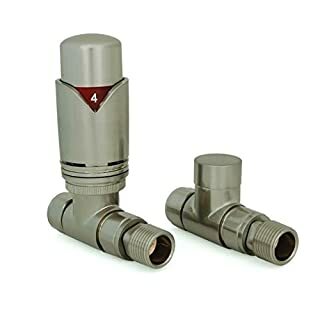 Also, keeping your heating on constantly on a low heat could potentially save you more money than switching it on and off for big blasts of heat. 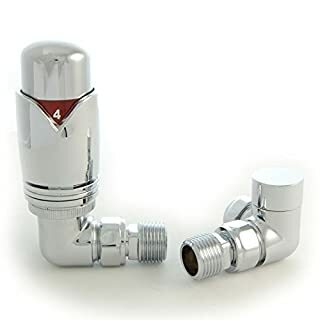 This is where getting to know and understand the timer settings on your thermostat will really pay off.Made to a high quality, the wheel-head and lock-shield radiator valves are constructed from brass and have a heavy, smooth polished finish and features variable pitch adjustable couplers. 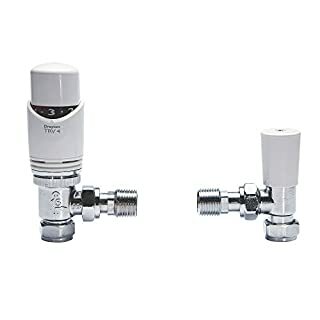 Whilst we recommend all TRV's are installed on the flow, rather than the return pipework of a radiator, this thermostatic valve is designed to be bidirectional and can be installed on either the flow or return, in any orientation, where the system also includes an automatic bypass valve, to deal with excessive fluid velocity. 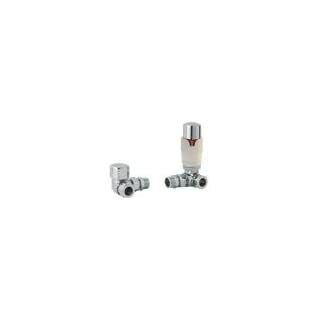 Our thermostatic radiator valves are energy saving and environmentally friendly. 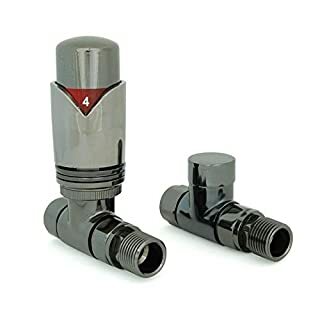 Thermostatic radiator valves (TRVs) make it possible to control the temperature in your room quickly and easily. Simply set the temperature that you desire and radiator will automatically reach the required heat output. 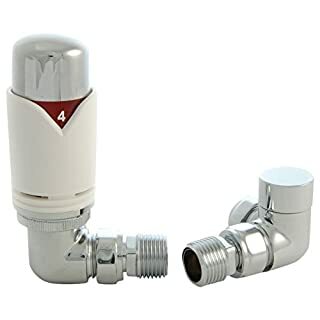 The heat sensitive mechanism will detect any changes to the atmosphere and adjust the amount of hot water that it allows into the radiator, keeping your home at a comfortable and constant temperature. 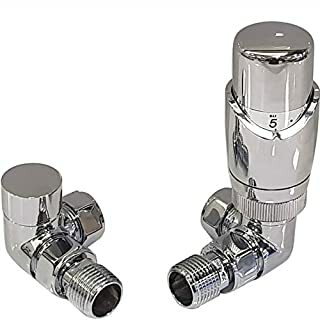 Also, keeping your heating on constantly on a low heat could potentially save you more money than switching it on and off for big blasts of heat. This is where getting to know and understand the timer settings on your thermostat will really pay off. 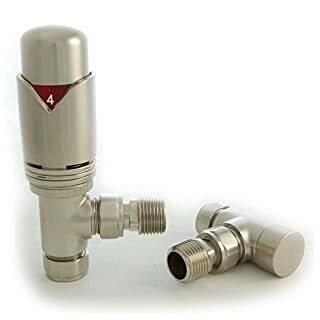 Made to a high quality, the wheel-head and lock-shield radiator valves are constructed from brass and have a heavy, smooth polished finish and features variable pitch adjustable couplers. 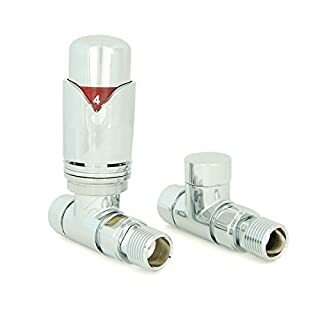 Whilst we recommend all TRV's are installed on the flow, rather than the return pipework of a radiator, this thermostatic valve is designed to be bidirectional and can be installed on either the flow or return, in any orientation, where the system also includes an automatic bypass valve, to deal with excessive fluid velocity. 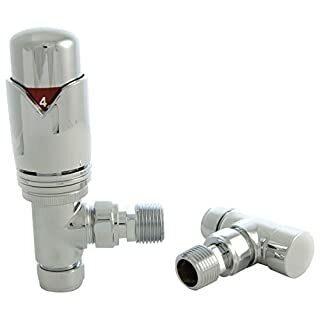 Make sure your heating system looks great right down to the last fixture and fitting, with these premium quality Talus thermostatic radiator valves. 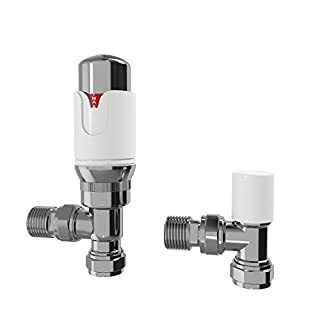 TRV valves accurately control temperature, saving energy and money. 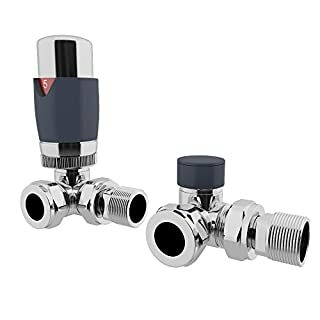 Modern design, high-tech construction and a solid 5-year guarantee means that you're not just getting great looking valves; you're getting the best quality too. 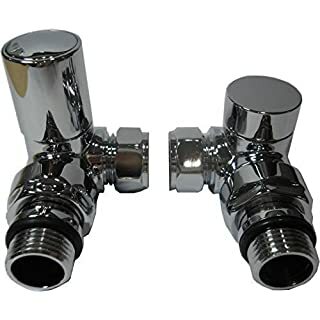 These stylish and practical valves are designed to co-ordinate with the look of your radiator, so whether you've gone for traditional white, ultra-chick anthracite, black or silver, one of our dazzling chrome towel rails, or something with a brushed or black nickel effect, our colour coordinated valves are designed to match perfectly so there is no compromise on style with that final finishing touch to your designer radiator or towel rail. 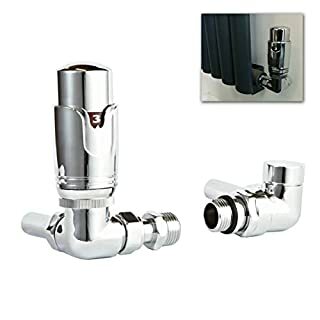 The solid brass body is covered with a thick layer of chrome, which is guaranteed for five years against flaking or cracking. 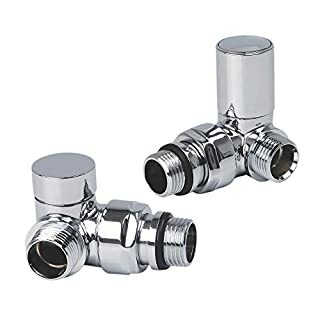 All valves have CE approval, and the easy-to-use thermostat means you can regulate exactly how much heat your radiators or towel rails are producing, giving you complete control at your fingertips.